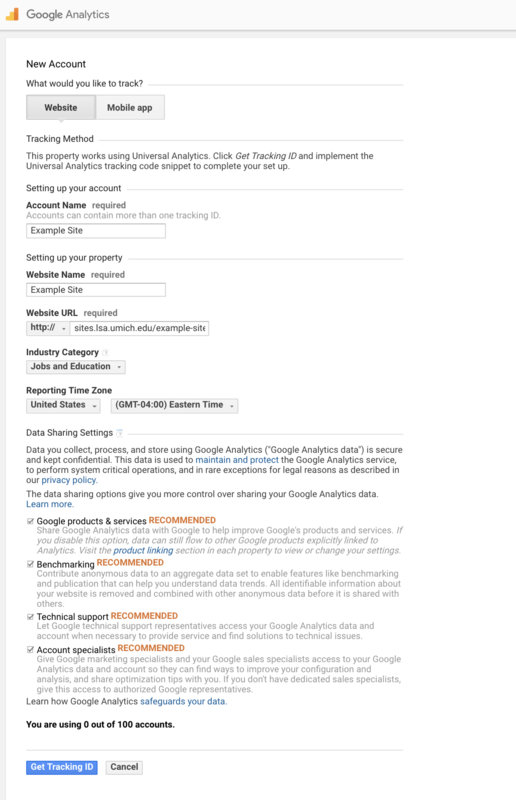 Google Analytics recently updated their permissions. 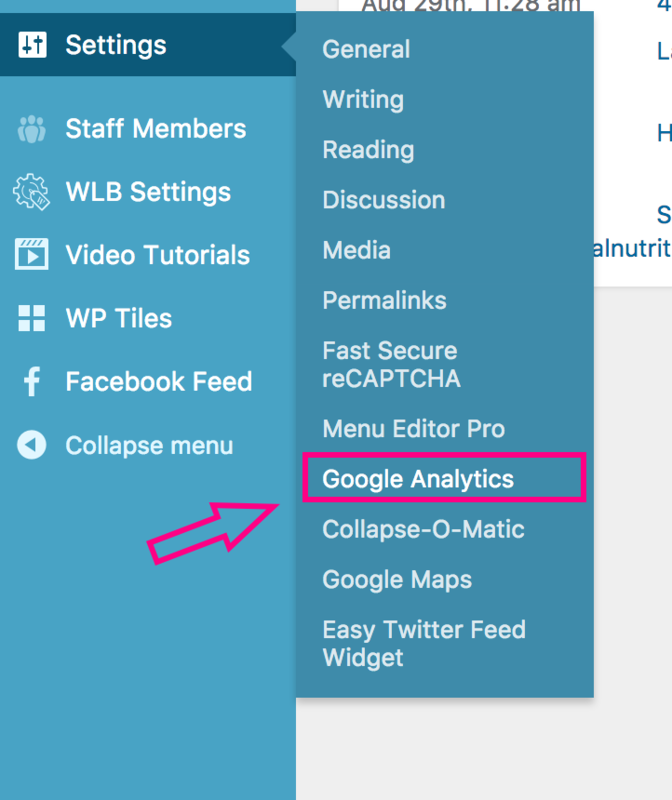 Site owners who would like access to their site’s analytics will need to enable their Google Analytics account on their WordPress site. 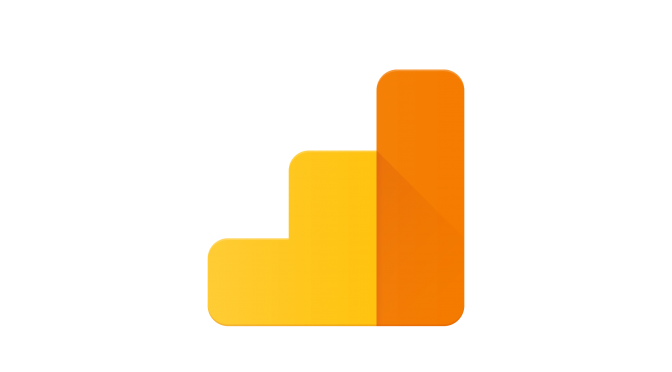 We highly recommend setting up Google Analytics—it’s quick and easy. Having access to the full spectrum of analytics allows you to make data driven decisions about your site’s content and architecture. 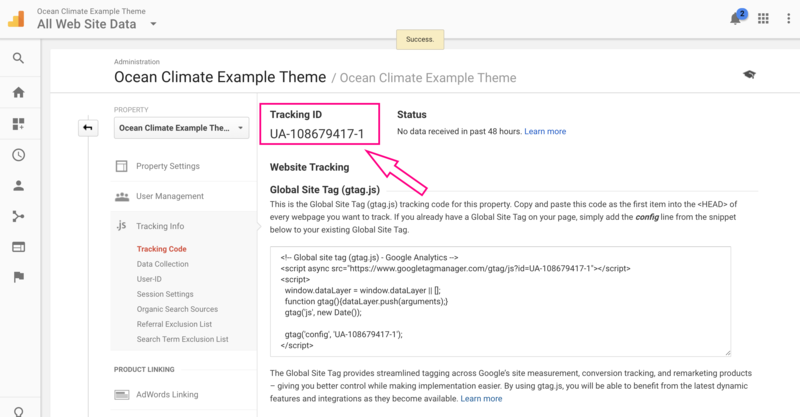 A few features you’ll also be able to track are your most popular pages/posts and referral traffic to the site. Our team can provide you more site support in the future if you have historical data. This includes analyzing trends in web traffic, determining bounce rates, common searches, and more. Go to analytics.google.com. If you are already logged into your umich gmail account in that browser it will automatically log you in and you’ll be presented with an Analytics Dashboard [ Figure 2 ]. If you’re not already signed into your email then enter your umich email and click next [Figure 1]. It will transport you to the umich gateway page to sign in with your uniqname and Kerberos password. 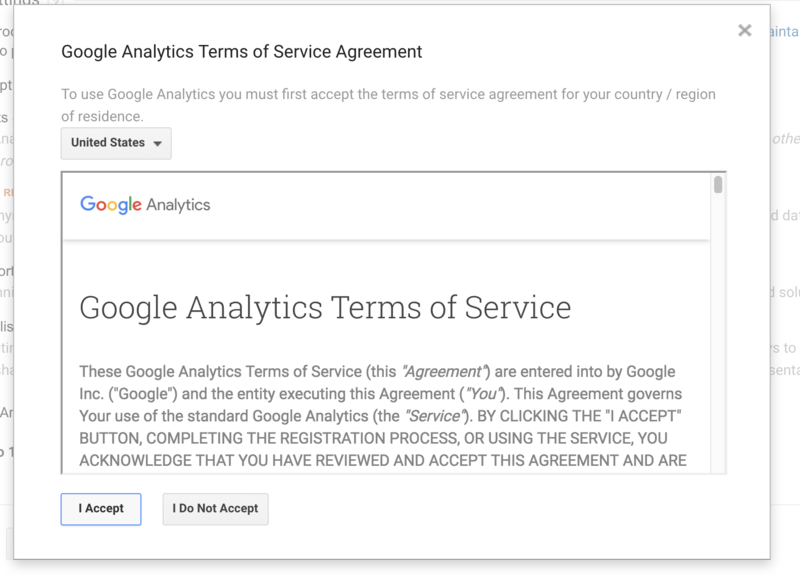 Important: Accept the “Terms of Service” pop up to retrieve your tracking ID [Figure 4]. 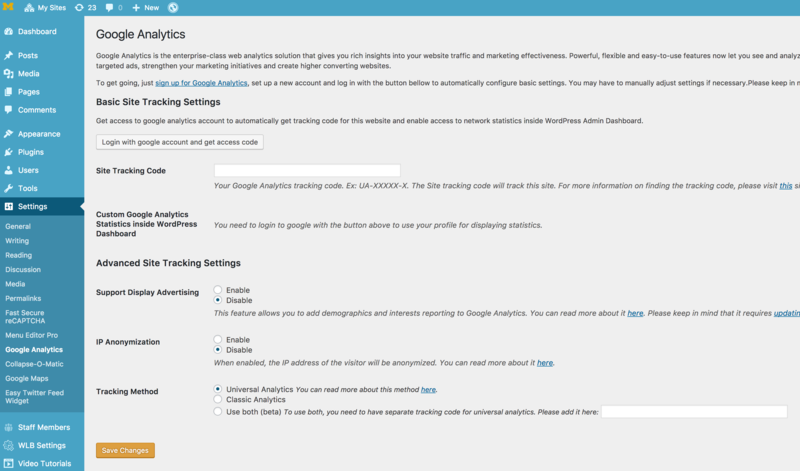 Open up your WordPress dashboard and navigate to “Settings / Google Analytics” [Figure 6]. 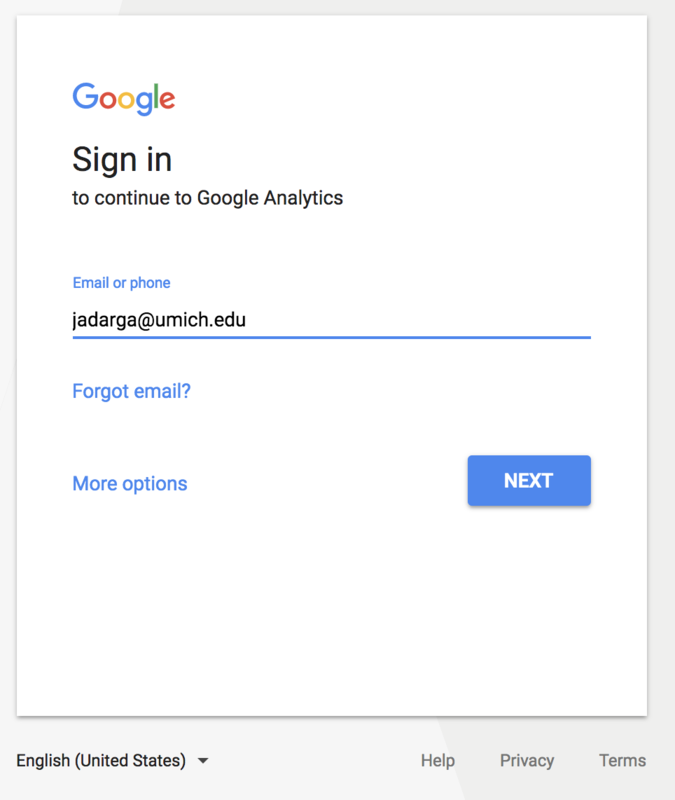 For new users that now have access to the Analytics account they can see the data by logging into analytics.google.com with their umich email. For questions regarding these steps please email lsa.web.support@umich.edu. You can also go over these steps in our Open Lab. 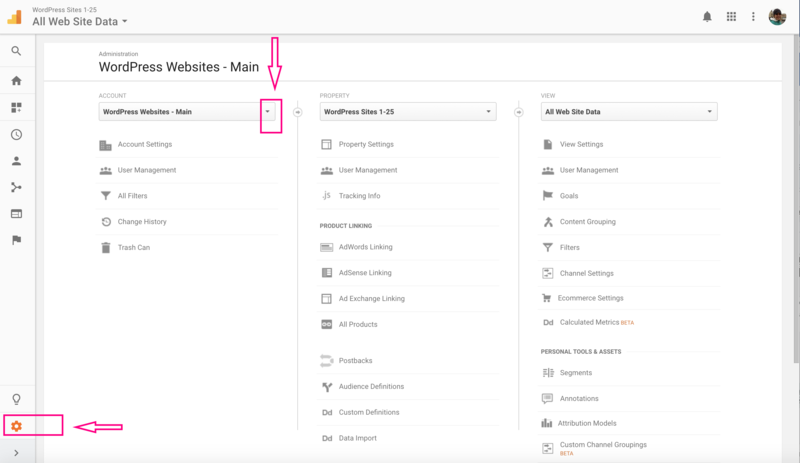 Previous PostFor Current Analytics Users: How to Add a New Analytics AccountNext PostNew WordPress Theme Addition! Introducing Astrid.